Here we go again! It's your one-stop entry point to the world of ALL-NEW MARVEL NOW! Loki embarks on a mission for Asgard! The Silver Surfer and Dawn experience the cosmic rays of Nautikos! A Kree Pursuer and her Special Forces team prepare to invade the Earth! The Black Widow goes undercover in Russia! Who is the new Ms. Marvel? 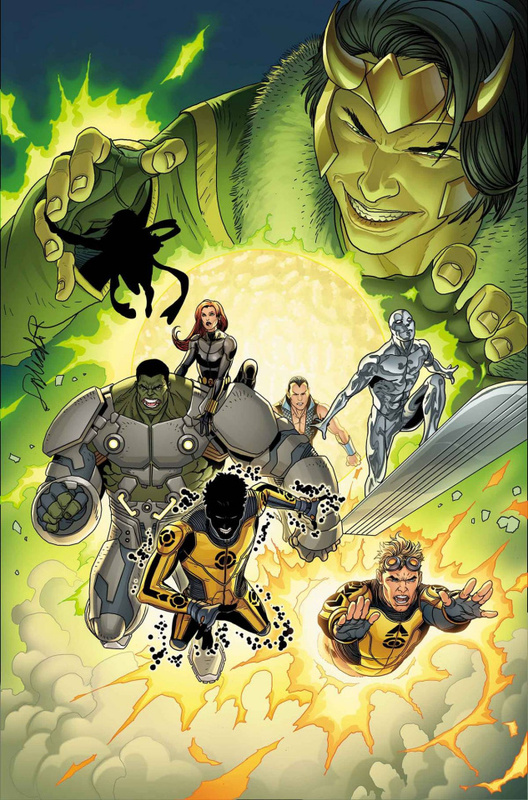 And can even the Indestructible Hulk survive the aid and assistance of fellow Avengers Cannonball and Sunspot?